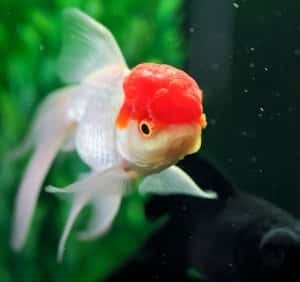 The hood usually starts showing when the fish is three or four months old and, unlike lionhead goldfish and ranchu goldfish, the oranda’s hood develops only towards the upper part of its head. Orandas come in a wide range of colors. Including orange, red, black, blue, bronze, chocolate, bi-color and calico color combinations. 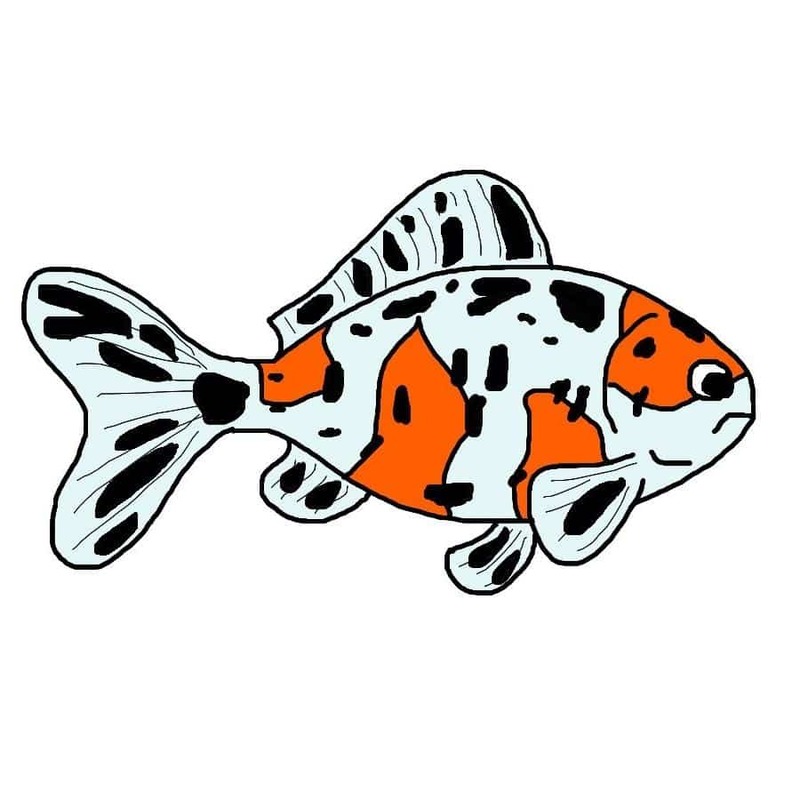 While not the most delicate of fancy goldfish, orandas certainly aren’t as hardy as some of their fancy goldfish cousins. Orandas are therefore recommended for more experienced aquarists. Orandas are quite sensitive to water temperature and should be kept in aquariums with a controlled temperature range of 18°-22° C.
The orandas head growth can be prone to bacterial and fungal infections from debris that may settle in the folds of the hood, so adequate filtration and water care is crucial to the oranda’s well-being. 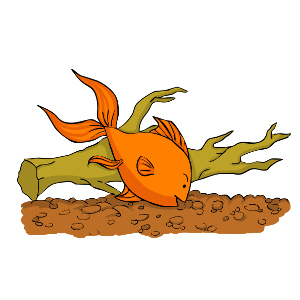 Care should be taken when selecting and decorating an oranda’s aquarium, as they often like to scavenge the aquarium bed and dig in the substrate. The gravel bed and decorations should therefore be relatively smooth with no sharp or jagged edges. Given the right conditions – including adequate space for swimming and proper care – orandas can grow to sizes of ten inches or more. 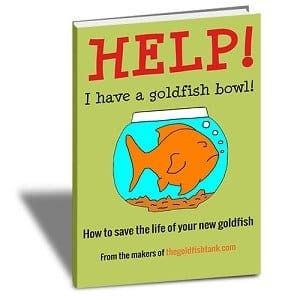 As with other fancy goldfish, breeding orandas is not a very difficult task given the right conditions. However, it should be noted that the yield of high quality fish is low in oranda spawns in comparison to other fancy goldfish varieties. When choosing orandas it is important to look out for fish with wider bodies and a body depth of around 2/3 body length. All of the oranda’s fins should be paired, except the dorsal fin and the oranda’s tail fin should be fully split. 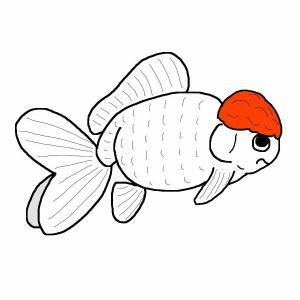 It is desirable for the oranda’s wen to be well developed, but not to the degree that the fish has difficulty with its eyesight or breathing.